Yesterday, Sony Pictures premiered the first video from the upcoming Ghostbusters reboot. It wasn’t the full trailer, like many of us had guessed, but an announcement trailer instead. 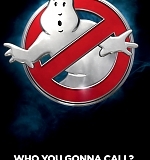 After the words “Who You Gonna Call?” comes the trailer release date – March 3! Until then, enjoy this short clip and a new poster for the film. Ghostbusters arrives in theaters on July 15.